With more than 75 honeybee hives on the North Fork and South Shore, Tom’s Honey Bees is able to produce a huge variety of honey products, including candles, lip balms and natural soaps in addition to wildflower honey. The flavor of the honey varies year to year based on the season, location of hive and the weather, but in general you’ll find Tom’s Honey Bees’ honey to have an easy taste. You can purchase jars at Clipper Ship Tea Company in Huntington and Helens Farm Stand in Riverhead. Buckabee Honey produces a variety of wildflower honey from apiaries on the North Shore. This is the place to find creamed honey (naturally crystallized with a smooth spreadable consistency), honey sticks and most popular raw honey. The family behind Buckabee Honey heats the honey only to 110 and lightly strains it, making it almost as pure as you can get. Shop their products online or find them at upcoming local fairs. Click here for more info. The bees that reside on this Setauket farm produce Setauket Gold honey, a bright tangy honey that is credited to the air that is fueled by the rich North Fork winds of Long Island. This is where the bees collect nectar and pollen from wild flowers unspoiled by pollution and pesticides. Spy Coast sells everything from body and skin care to their delicious (non-GMO) honey filled jars. The Hamptons Honey Company sells honey sourced from a variety of Long Island bee keepers producing totally raw honey, wildflower honey with a dark color and robust flavor and clover honey with a delicate flavor and light color, and a taste that makes it perfect for baking. Shop their products online here or purchase there products at these storefronts. A small farm in Southold, Blossom Meadow focuses on growing premium berries, making great jams, and raising mason bees for products like honey bears, candles, lip balms and more. Visit their Etsy Shop here to purchase their products. 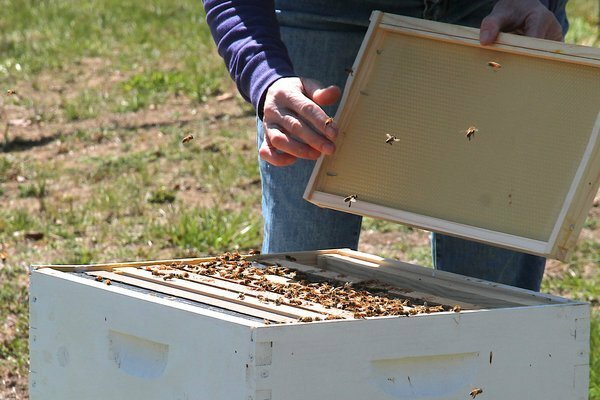 Barna Bee is a family tradition of bee keeping that started in Europe nearly a century ago. Today, the company continues their unique traditions and methods on Long Island. Due to the Atlanlic Ocean trade winds and short seasons, Barna Bee produces 100% of the purest and raw wildflower artisan honey around. All of their products are raw, unheated and unprocessed. Purchase a 12 ounce jar, gift box or donate to the Save The Needs Foundation here. Long Island FunFest is The No. 1 Stop for Family Fun! Subject: LongIsland.com - Your Name sent you Article details of "Life is Sweet: Long Island is Producing Some Delicious Honey"